Today is the last day of the tour. 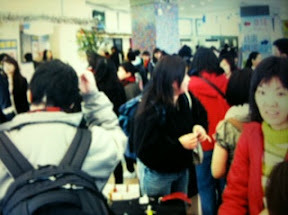 We all gathered at the ground floor of that dodgy K mall. (It is memang 'k' yeng.) My cousin left Taiwan already. She didn't get to shop at all. So I will be the one to shop for her. Only about 10 or so ppl heading back to KL. 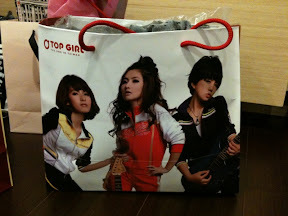 The rest will stay in Taiwan and tour around. Miss the time we all spend together. Quite fun. 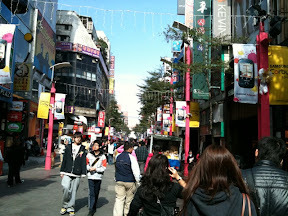 Sis fren brought us to Si Men Ting, a famous shopping area. Crowded. This place is mostly for youngsters. Luckily got her bring us around, or else I will get lost! I bought quite a few things today hehe. 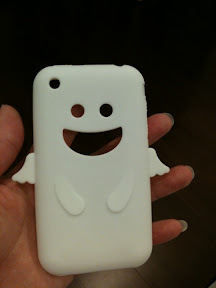 Look at my cute iPhone angel cover! S.H.E. !!!! I bought 1 jumper from their shop. I enjoyed today n my brain is dead again. Holiday is not an easy task ey! So many things to do but so lil time. this is quite unusual for our lovely ms. shopaholic. only 2 items?